I think the centre of Geddington vilage presents one of the most enjoyable and historic English scenes anywhere in the country. Around the square (its a triangle, actually) are ranged thatched cottages. 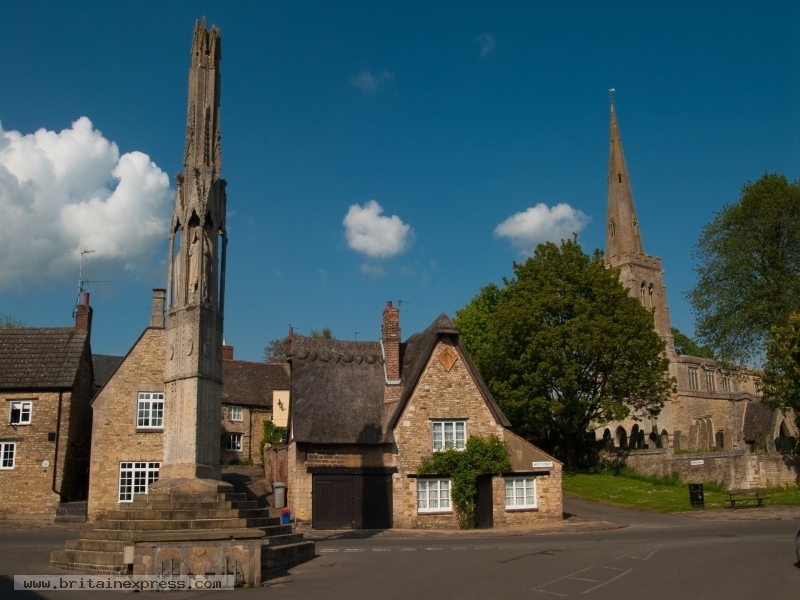 To one side stands the lovely parish church, while in the centre of the square stands the Eleanor Cross, erected by Edward I to mark the spot where the cortege bearing the body of his wife, Eleanor of Castile, rested while on its way south to London.